Tattoo Peter was born in Sneek on July 13 1925. His real name is Pier de Haan. Peter grew up in a fishers village in IJmuiden, and lost his leg during an accident in World War 2. After the war Peter was always hanging around ports in the Netherlands. There he met Albert Cornelissen, a tattooer in Rotterdam. Because of this Peter began to build an interest for tattooing and also learned a thing or two from Albert Cornelissen. 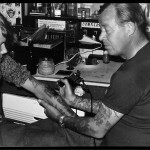 In the 50’s Peter quickly became famous by tattooing in a lot of dutch bars and ports. He also traveled to different countries to learn more techniques. After traveling for a few years he opened his first shop in 1955, located on the Sint Olofsteeg, in Amsterdam. In the following years he became busier and busier, this was because Amsterdam was an important port and his was the only shop in Amsterdam. In the mid 60’s Peter’s brother was helping him out on the weekends. He also worked with a lot of famous artists like Herbert Hoffmann who had a shop in Hamburg. And he also worked with Ole Hansen from Kopenhagen, later becoming his good friend. 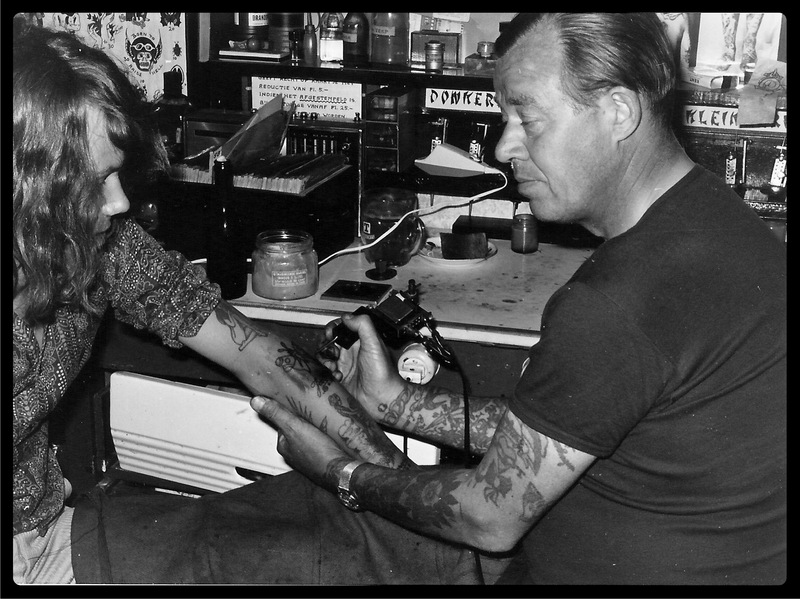 In the 70’s Peter’s son and cousin also learned tattooing. In 1977 the small shop moved to a bigger building on the Nieuwe Brugsteeg 28 Amsterdam. This is still our current location. Years after that more artists started working in the shop. I (Eddy Wertwijn) started in september 1980. I only worked on sundays but quickly started to work more days. Tattoo Peter died because of a brain tumor on 17 march 1984. The shop still exists for almost 65 years and is one of the oldest in Europe. I’m particularly proud that I am running the shop for more than 35 years and hope to do so for many more years.